Oumoul Khary Sow was born on September 20th, 1985 in a small town called Podor (North Senegal). Her father used to be an agent of a local society and Oumoul grew up between St Louis, in the North, and Dakar. In 1997 she fell sick, and the doctors at the Principal Hospital in Dakar diagnosed a heart disease, a kind that could not be treated in Senegal at that time. If the competence existed, there was no sophisticated equipment to cure her. So the doctors recommended that her case be transferred to Europe where Oumoul could be properly taken care of. They gave the Sow family contact information for an NGO called Terre des Hommes, which took charge of Oumoul’s case, paying all the medical bills for her heart to be operated on, thus saving her life. In December of that same year Oumoul came back to Senegal completely cured and grateful to the group of people who saved her life. Despite her young age, Oumoul was very conscious that it had taken the sense of solidarity of some people to save her life. She decided to found an association to help people who had the same disease. At first her target was the vulnerable street children who stormed the streets of Dakar with no family ties or support whatsoever. Then her father and adviser, Mamadou Oumar Sow, and some close friends came up with the suggestion to fight malaria, as it was the deadliest disease, killing thousands of old people, children and pregnant women in Africa. By fighting malaria, she would reach and help more people who needed it. 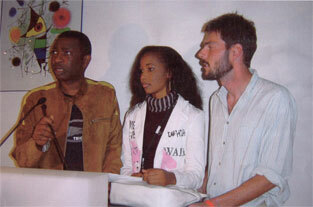 This led Oumoul Khary Sow to set up the Caravan of Hope in 2001. Every year the caravan visits the remotest parts of Senegal to distribute thousands of sprayed mosquito nets, and to give medical check-ups and medicines to the poorest families for free to prevent malaria. In every village the caravan trains local people to ensure follow-up. These newly trained people supervise the proper medication of pregnant women and make sure they have prenatal visits to better prevent malaria. So far, the Caravan has distributed 30,000 mosquito nets and more than 12,000 people have been examined by the doctors of the Caravan of Hope in all the villages Oumoul Khary Sow has visited. In 2003 Pr Eva Marie Coll Seck, former Senegalese Minister of Health, gave Oumoul Khary Sow the title of Malaria Queen for the great work she is accomplishing in Senegal. 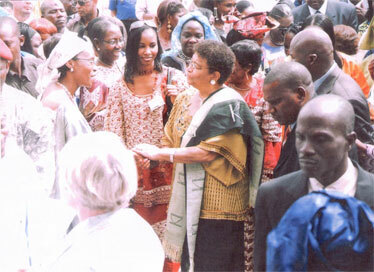 In her role of Malaria Queen, Oumoul met and discussed malaria issues and prevention perspectives with personalities such as former UN Secretary General Kofi Annan, the new President of the Republic of Liberia, Mme Ellen Johnson Sirleaf, the President of the Republic of Mali, Sir Amadou Toumani Touré and the famous Senegalese Pop star Youssou Ndour. Oumoul works with the famous association called Roll Back Malaria, which is among the biggest malaria fighters in the world. In her fight against malaria Oumoul enjoys the support of Mme Eva Marie Coll Seck, former Senegalese Minister of Health, who invited the young malaria fighter to attend the presentation of the first UN World Report on Malaria. Ever since, Oumoul is regularly invited to Roll Back Malaria meetings in France, Tanzania, Cameroun or Geneva. With the help of Roll Back Malaria, Oumoul got connected with a computer company that offered 4% of its revenues to the association led by the young woman to assist in the fight against malaria. One of her most helpful partners is the Carine Association. The founders of this organization decided to take a stand against malaria after losing their daughter to this deadly disease. 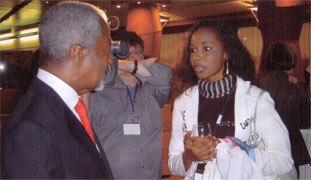 At the 100th anniversary of the United Nations Oumoul was officially appointed UN Ambassador for Malaria by Kofi Annan. Oumoul’s fight is not limited to malaria only; she also helps in the fight against tuberculosis and HIV/AIDS. She has also helped a young girl named Aissatou Thiam, who had the same heart disease, to be transferred to Europe to get cured. She is very proud of that experience, as now she knows that she has directly saved the life of a human being. Today the same medical group that saved her life years ago has granted Oumoul the opportunity to admit and cure 5 people in Switzerland every year. Presently, Oumoul is a student in Canada reading for political science, though she declares that later on she wants to read for medical science to become a doctor to better intervene in public health matters. Today many medical centers in Senegal are named after the young woman. Some people whose daughters or sons she saved have given the name of Oumoul Khary Sow to their newborn children to show their gratitude to her.